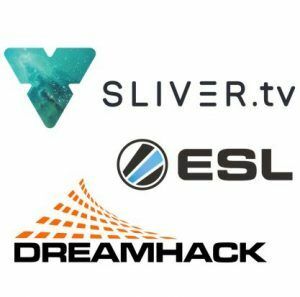 SLIVER.tv announces a new deal with ESL and DreamHack to live stream events in 360 Virtual Reality. In 2017, SLIVER.tv will live stream 14 global events in 360 VR with live replays and statistics available to viewers. The streams can be viewed at the SLIVER.tv website, or via the app, available on Android, iOS, Samsung GearVR, Oculus Rift, & HTC Vive platforms. Read more at Yahoo!Esports and esports-pro.